Designed to help parents understand the CBC Juniors program. Start and end dates for each season vary slightly, depending on weather and water conditions. Fall competitive season starts late August and lasts until late October or early November. Winter training varies somewhat but is held throughout the winter months. Spring season starts in February and lasts until late May. Summer season starts in June and lasts until mid August. Practices are approximately two hours long. Coaches supervise and instruct rowers from launch boats alongside. Practices may be on land and include running, ergometer and strength conditioning sessions. In winter or in poor weather, practices are held indoors. Rowers must be dropped off on the roadway in front of the boathouse. Cars are not to enter either parking area near the boathouse. Athletes who drive may park in the parking spaces on the right side of the roadway, next to the lake, as you approach the boathouse. The speed limit in Stewart Park is 10 mph and is strictly enforced! Do not park on the bike or walking path that parallels the road. Athletes must arrive at least 5 minutes before the scheduled practice time so that they can warm up appropriately. Punctuality is mandatory! There will be consequences for tardiness up to and including loss of boat seating and ability to race. Practice may end a few minutes early or late because of variable conditions (weather, boat traffic, etc. ), but every attempt will be made to ensure the rowers are back at the dock at the specified time. Athletes are expected to attend every scheduled practice and regatta. Illness/injury/personal or family emergency are the ONLY acceptable reasons to miss practices or regattas unless special permission has been granted. Practices are rarely cancelled. When they are, it is often at the last minute due to changing weather. The decision about whether or not to cancel practice will be made as far in advance as is practical. An email will be sent as soon as possible after the decision is made. Please check your email regularly for announcements or schedule updates. Please do not call individual coach’s cell phones to ask about whether practice is cancelled due to weather: We are not able to respond to the large number of athletes individually. Parents may not interfere with practice on water or off. Parents should not attempt to converse with coaches during practice or immediately before or after practice. At these times the coaches are focused on the athletes, their safety, and the proper handling of club equipment, and cannot safely converse with parents. Because water practices are held mainly on Cayuga Lake or the Cayuga Inlet, the only part of water practice that parents will be able to see from the boathouse area of Stewart Park is the loading and unloading of boats and, on occasion, practices that are held on Fall Creek. Parents are not allowed in the area of the boathouse and docks due to safety concerns. Boats are large and unwieldy. The large number of athletes and the size of the boats makes the dock and boathouse area very congested. Parents should not go beyond the sidewalk/drop off area at the east end of the boathouse during those times. The current regatta schedule can be found on the CBC website. Regattas require a lot of help from CBC parents. For more details about what is expected of parents and how you can help at regattas, please see the Parent Involvement section of this handbook. Failure of an athlete to conduct themselves by this code will result in rowing privileges being revoked without refund of rowing fees. During the competitive season, the rowers will be assigned to boats within their respective programs. The “first boat” is the most competitive boat, followed by the “second” and “third” boats. Please note that parents are not permitted to call the coaches at any time to discuss boat selection or line-ups. This matter will be discussed between coaches and athletes only. Academics should be the primary focus of all students. Thus, CBC policy is that if a student is having severe academic difficulties the student should let a coach know so that appropriate accommodations can be made. Because CBC is not officially affiliated with any area schools, it is the responsibility of the student and parents to inform a coach if they are having academic difficulty. CBC cannot by law view a student’s academic record without consent. Rowing is a sport that can be continued at the college level. Competitive rowers may be recruited. Some women’s programs may have scholarship money for rowers. College coaches are always interested in motivated athletes that demonstrate rowing experience, good technical skills, competitive erg scores and qualifying academics. For detailed information about college recruiting and a timeline to start the process please "College Recruitment" on the CBC web site. Please do not attempt to converse with coaches during practice or immediately before or after practice. At these times the coaches are focused on the athletes, their safety, and the proper handling of club equipment, and cannot safely converse with parents. The best way to get up-to-date information about your rower’s program is by subscribing to the listservs. You are automatically signed up when you enroll. If for some reason you are not on a list contact the CBC registrar to be added. Please contact the appropriate coach to set up an appointment. Because the Cascadilla Boat Club does not receive government funding of any kind and is not officially affiliated with any schools or other organizations that might provide financial aid, the operation of the club is entirely dependent on rowing fees, fundraising, and volunteerism. CBC depends on parent volunteers to keep the scholastic programs running smoothly. We expect all parents to contribute to regatta and fundraising efforts. We appreciate any support that parents are able to provide; whether that is general help, use of specific skills, or business contacts able to provide goods and services or sponsorships. Volunteer opportunities are posted on our listserv. A successful rowing season depends on an energetic and committed core of parent volunteers. CBC can not send rowers to regattas without parental regatta support. All parents are required to volunteer at regattas. If you cannot make it to a regatta, there are jobs you can do from Ithaca. Parents are asked to volunteer for at least two regattas during the rowing season. Most CBC-attended regattas are in upstate New York. Some are day trips, while others involve overnight hotel stays. Parents are responsible for all regatta jobs with the exception of coaching and driving the boat trailer. Parents organize rower transportation and travel, chaperones for overnight stays, food, and the hospitality tent. Coaches are responsible only for getting boats on and off the water. It is the responsibility of the parent chaperones to supervise and monitor the athletes at all other times, from the moment they get on the bus in Ithaca to the moment they return. Thevolunteer coordinator will contact parents via the listserv to facilitate volunteering for regatta jobs. Most jobs are simple and allow parents to participate. Examples include: buying food, serving food, filling and cleaning water jugs, setting up the regatta tent, and pulling the regatta trailer (not the boat trailer!). Our top priority is to have 100% participation of all CBC families in our fundraising activities- be it through financial gifts or donating their time to fundraising efforts. Effective fundraising is essential to help us keep fees as low as possible, to make necessary capital purchases (a new 8 person shell costs approximately $40,000), provide scholarships, maintain existing equipment, cover fees to remain in the boathouse, and pay the coaches’ salaries. Each year several major fundraising events are held to raise money for the club. In the past, these events have included team dinners, silent auctions, rent-a-rower events, and the Ergathon where rowers are sponsored to row on the ergs. CBC periodically publishes information, advertisements and results in local media publications and on websites. Regatta expenses (entry fee, travel cost, coaching fees, overnight accommodations, etc.) vary depending on the race. These expenses will be shared among participating athletes. The amounts owed will be emailed to participants prior to a club function. Regatta fees vary depending on the regatta but are typically around $75 - $125 per day for depending on the location and type of regatta. Please note: Not all rowers attend all regattas. Head of the Charles and Royal Canadian Henley are highly competitive regattas. CBC does not always attend these regattas, nor do we send all rowers. Information about these fees and how rowers will be chosen will be announced early in the respective season. These regattas often cost more due to higher race entry fees, lodging and travel costs. Incidental expenses to rowers include uniforms (unisuits [“unis”] and long sleep racing shirts for inclement weather for varsity rowers, T-shirts and shorts for novice rowers) and optional athletic clothing with CBC logo (e.g., warm up jackets, sweatpants). Rowing fees are NOT tax-deductible, however, donations to the Club may be tax deductible. CBC is a tax-exempt organization under IRS Section 501(c)(3). All the waivers and forms rowers and parents need are at the Registration page on this website. The first priority of every coach, rower, and crew is the safety of all persons on the water and on land. The second priority is the safety and maintenance of all rowing equipment. Rowing is very safe compared to most other sports. However, like all sports, rowing has some inherent risks. Due to the high physical demands of the sport, overuse injuries are the main concern with rowing. Through the use of proper technique and treating injuries promptly, these injuries can be either avoided or overcome with no lasting impact in most cases. US Rowing, the sport’s governing body in this country, has extensive guidelines that all member clubs, including CBC, must follow to ensure that rowing is a safe and enjoyable sport. Guidelines include swim test requirements, coaching training, minimum equipment requirements, and much more. In the event that a person becomes injured at the boathouse or during rowing practice, he or she should report it to the coach. CBC coaches are not able to administer ANY drugs to athletes. This includes Tylenol or other over the counter medications as well as prescription drugs; including inhalers. Rain, snow, and cold weather do not restrict rowing activity unless they reach extreme levels. However, boats will not practice when the lake is icy, during a thunderstorm, or in very rough water. If a coach hears thunder, all boats will immediately return to the dock or to the closest shore. If thunderstorms are predicted, coaches will use appropriate levels of caution in deciding whether to hold a water practice. For information about how athletes should dress for the weather, see Equipment and Clothing. All rowers participating with CBC must have a valid swim test form on file with the club. Rowers that are unable to pass the swim test are not allowed to participate due to the risks inherent with any water sport. Swim tests are valid for 6 years. Rowing teams, including CBC, require swim tests even though the chances of an eight or four boat capsizing are very small. Life vests are not worn while rowing since they restrict the motion of the stroke. In the case of an emergency, life jackets are available on the coaching launch. CBC owns numerous racing shells, sets of oars, coaching launches with outboard motors, coxswain speaker systems, plus a boat trailer and an equipment trailer for towing equipment to regattas. The purchase of this equipment is due to the generous support of donors and through fundraising by rowers and parents. Due to the high cost of rowing equipment (a new shell can run over $40,000! ), it is imperative that our equipment is treated with respect. Provide your rower with workout gear that is appropriate to the weather. Unisex or women’s Trou (shorts) or leggings - these are strongly encouraged as they do not get caught in the sliding seat. 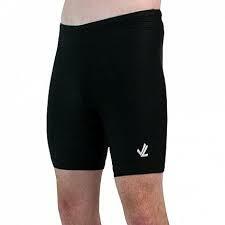 Note for rowers: These are not the same as lycra “compression” underwear; these are more protective and thicker. Rowing shorts can be purchased from JLRacing or Boathouse Sports. JL Racing typically sells bargain shorts at large regattas like Head of the Fish or NY States. T-shirt or similar (long or short sleeved) – T-shirts should be fitted rather than loose. Polyester is preferred to cotton. Inner layers that wick moisture away from the body (spandex, acrylic, not cotton). Multiple, thin layers instead of one thick layer so the top layers can be removed as the athlete warms up. Coxswains may need extra layers to protect them from the cold. Uniforms: The United States Rowing Association (USRowing) has mandated that in races, all rowers on a team must dress identically. CBC varsity rowers will race in CBC unisuits (“unis”) and novice rowers will race in CBC T-shirts and black spandex/lycra shorts. Rowers should make every effort to dress identically wearing the SAME hats, uniforms, etc.